The project is in collaboration with fashion brand Giordano, who are based in Asia, and have been working on projects with UAL since 2014. 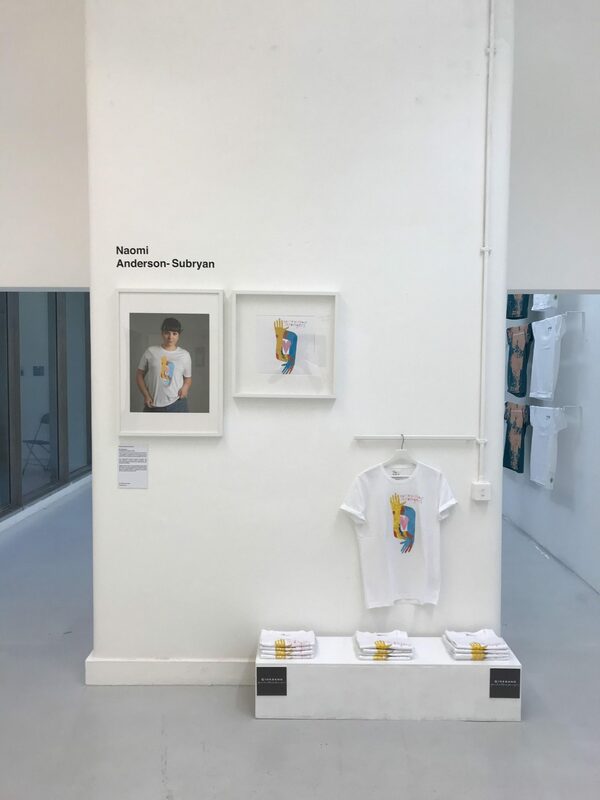 This year’s project was open to students across Camberwell, Chelsea and Wimbledon in particular those who were interested in graphic design and illustration with a simple brief of designing a graphic for a series t-shirts. All Giordano asked for within the brief is that the artwork included its brand values ‘World Without Strangers (WWS)’, which targets a fashion world without discrimination against gender, age, race, religion etc. Out of the numerous student submissions, 5 students were selected and identified as winners receiving £500 and the opportunity for their designs to become produced as part of a special collection and sold in selected stores throughout Asia Pacific. 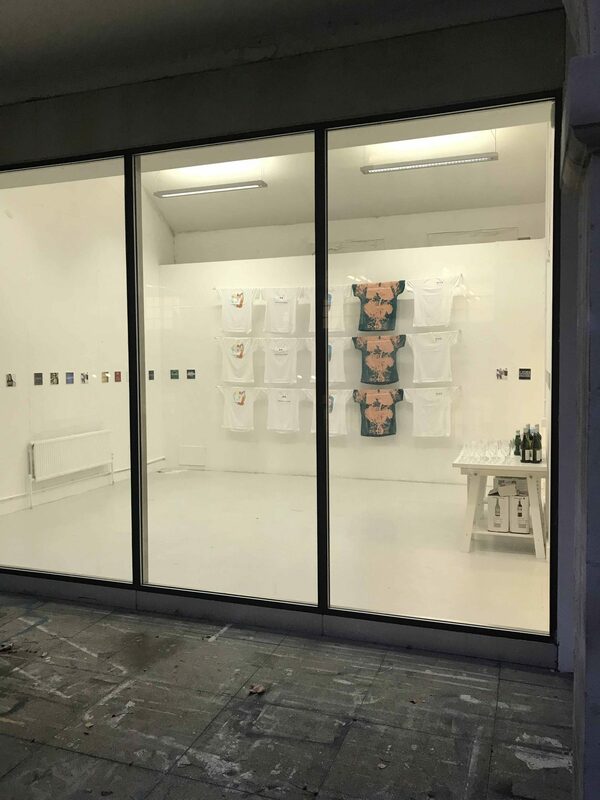 The exhibition itself is a cross between an art gallery and a boutique pop-up shop. 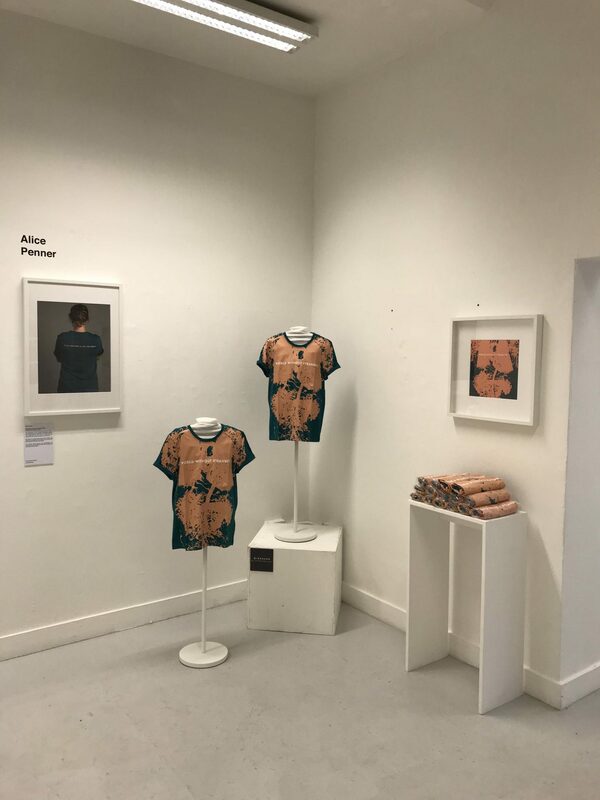 Each of the winning students has their own space in which their t-shirt has been curated and showcased in different ways. We wanted to ensure that the emphasis was on the product and the student artwork so for this reason we produced large scale photographic prints of both the digital illustrations and the t-shirts worn by a model. Giordano were also generous in giving us a range of sizes in each design available to give out free of charge to anyone who came and visited the exhibition. What have you enjoyed most about the project and exhibition? It’s great to be involved in a project that celebrates student success and having the opportunity to work with a former peer back at Chelsea College of Arts. It was a quick turnaround from brief to install but I think that added a rush of excitement and a buzz in taking over the Cookhouse and transforming it into this exhibition/pop-up. I’ve really enjoyed the opportunity to work with the Business and Innovation Team on this event and look forward to the possibility of getting another call up for future events. Curating has been something of a personal interest especially whilst I was studying MA Interior and Spatial here at Chelsea. Having a former background in retail and visual merchandising it has been a great challenge to take on and extend my skill set. What would you say to students who have the opportunity to work on live briefs and competitions? Say yes to every opportunity you get. It may feel like a giant work load at times but these opportunities are invaluable for any creative student and it looks great on your CV and in your portfolio. Camberwell, Chelsea and Wimbledon are good at encouraging and supporting all students to get involved with these live projects so make the most of the opportunities to collaborate. For these 5 winning students who are still studying, they are able to inform potential employers that they have produced a successful design that is selling across Asia.